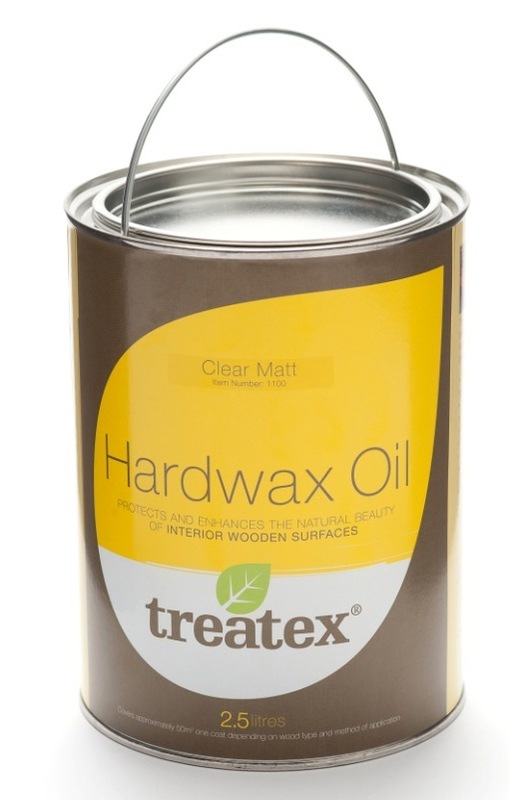 Treatex® Hardwax Oil is our best selling flooring treatment, for both timber and stone/tile flooring. It both preserves and enhances the appearance of all types of internal wood such as flooring, worktops, stairs, furniture, and internal joinery. 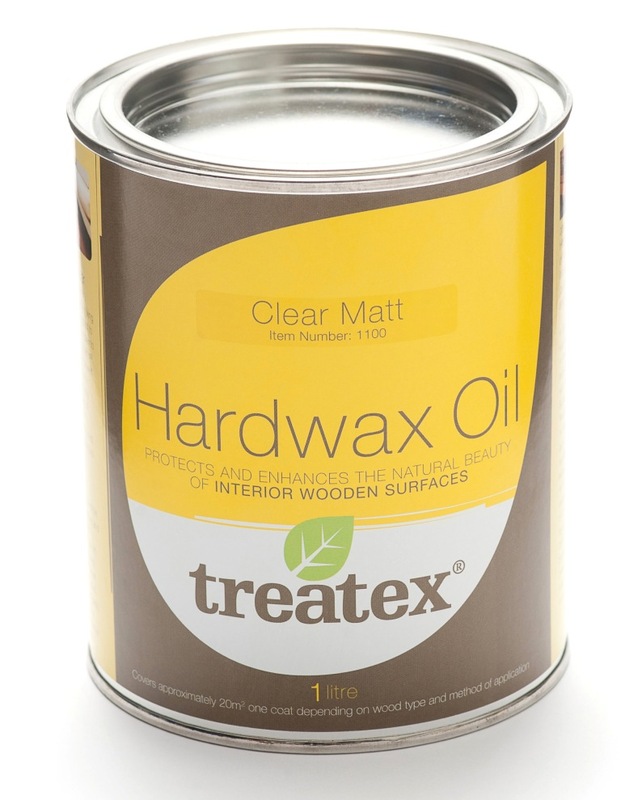 Treatex® Hardwax Oil is manufactured on a base of natural sustainable raw materials including: linseed oil, sunflower oil, jojoba oil, beeswax, carnauba wax and candelilla wax. Available in 3 sizes. Also available in satin and gloss finish. Contains no pollutants and very few solvents. Two coats in just 3 - 6 hours. No sanding required between coats. Microporous or closed surface possible depending on application quantity. Recommended for those with dust allergies; dirt and dust can be removed easily. Easy to clean with Treatex®Floor Care. 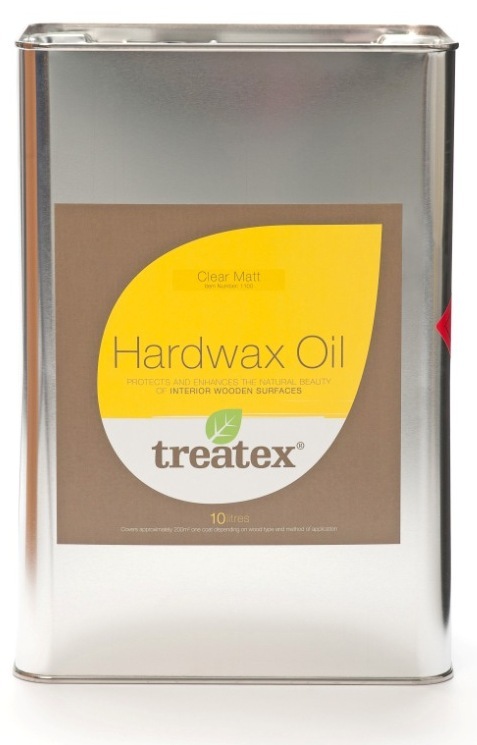 Easy to maintain with Treatex®Wax Polish. Certified safe for use on children’s toys: DIN EN 71-3. Complies with regulation DIN 68861-1B: Resistance to substances such as wine, beer, coffee, tea, fizzy drinks etc. Complies with DIN 53160: Sweat and saliva proof. Certified for commercial use: DIN-51131, EN-13893. Meets with 2010 VOC emissions regulations.